The first werewolf and antagonist in Shana O&apos;Quinn&apos;s Secret Ones series is back in a series of tales from her early years. The quintessential female demon began life just like any other human being of her time. 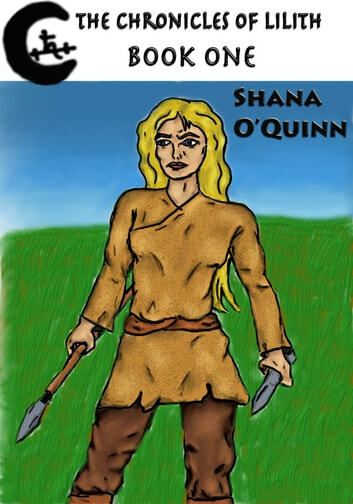 Born 65,000 years ago, she grows up in a beautiful yet brutal prehistoric world, part of a simple tribe isolated from the rest of the world. When unexpected enemies destroy her home and those she loves, she makes a devil&apos;s bargain with spirits she doesn&apos;t fully understand to exact revenge. Her journeys and trials change her, setting her on the course that many centuries later finds her the Wolf Mother and enemy of the Sidhe. A part of the Ages of Telamon series, and compliments the Secret Ones books. This is for those who are interested in the complicated character of Lilith and her backstory.